Netbooknews.de has suggested that the formerly Windows CE 7 Asus Eee EP101TC tablet is now sporting Android 'Froyo' 2.2 instead. Details on the tablet are still thin on the ground, although the devices were announced at Computex in Taiwan. The suggestion is that the 10 inch Eee EP101TC will be available, along with its 12 inch bigger brother, in early 2011. The decision to move to Android is an interesting one on several levels. 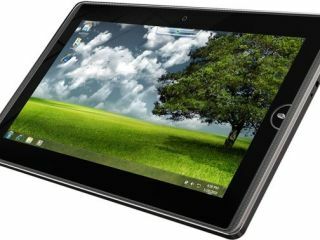 One of the major plus points of the Eee Pad was that it would be a Windows machine, but moving to Google's Android would, of course, bring it closer in many ways to the Apple iPad. The iPad runs on iOS4, very much a mobile operating system and used on the iPhone, while Android is most commonly used on smartphones. Taking a closer look at the translation reveals the Asus Eee Pad will run on an Android Froyo 'variant' - likely Android 3.0, or Gingerbread. This new version is designed for tablet screens like this, with a very high resolution, and a more powerful innards - and will be released at the end of the year, which tallies with the timescale suspected. Android has an extensive app store too and the Google connection would make it attractive, but it does beg the question as to why Asus did not consider Google Chrome OS - which is scheduled to drop early 2011.